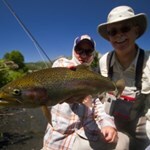 Fly fishing on the Weber River is one of Utah’s overlooked gems, just a short ride from Park City Utah. 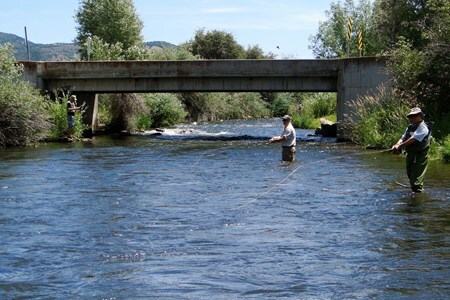 The Weber River is slightly smaller than the Provo River, and can be characterized as a medium sized stream perfect for wad fishing. 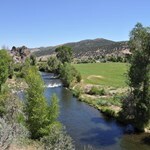 The Weber River has numerous access points so it never to hard to find a bit of solitude even on the weekend. Often over shadowed by the Provo River, the Weber River is a blue ribbon tailwater, that is a trophy fishery in its own right. 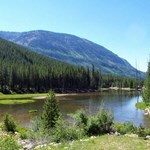 The Weber River flows for 125-miles from northwest of the Uinta Mountains to the Great Salt Lake. 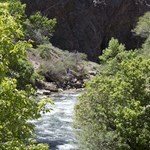 The Weber River was named for American fur trapper John Henry Weber and is similar ... morein size to the Provo River. 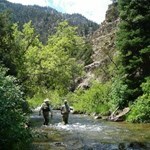 Park City Fly Fishing Company guides have over 40 years of experience guiding in the Park City area and through out Utah. 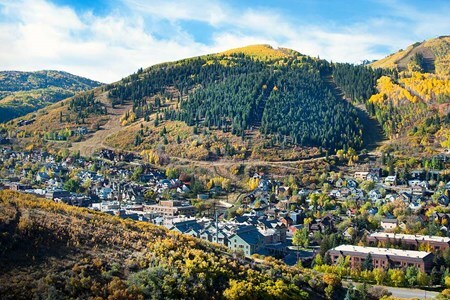 Within 30-minutes drive of Park City there is one of the widest ... moreselections of world-class trout fisheries in the world. 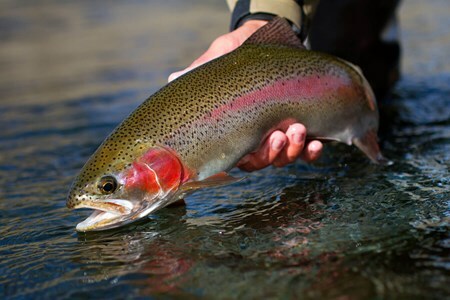 There’s the Lower Provo River, Middle Provo River, Weber River, and for those seeking variety, a little farther away, the Upper Green and many other secret spots that hold big fish. 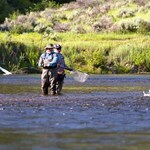 Payment directly with Wade Fly Fishing Trip on the Weber River with Park City Fly Fishing Company. I’ve been fishing with Jeff for the last ten years. He is the only guide I will fish with in Utah. Jeff knows where to go and just as important when to go to any particular river. 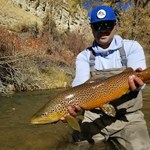 He is as good with beginners as he is with experts but if your time is precious, Jeff knows where the fish are and will ensure that you have the fly fishing experience you hoped for by finding fish in the local gems and ... more remote Utah waters. I have been fishing with Jeff for 5 years + now and he has taught me almost everything I know when it comes to fly fishing. Not only is he a great guide, he is a fun guy to fish with who loves the sport. He knows what holes are fishing well, when, and what should be used. He ties his own flies, which are amazing and seem way better than store bought. Also, good guy to chat with, I often call him my ... more "life coach." Been fishing with Jeff for over five years and I consistently have a great experience. Jeff only fishes quality waters and always gives 110% effort. 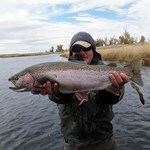 Both my novice wife, and my experienced brother, have had equally awesome experiences on the river with Jeff. Great equipment, great instruction, and great guides. My fiancé and I had no experience fly fishing, and Jeff was great. He outfitted us, got us right into the water, and showed us technique and what to look for. Within minutes we had multiple catches. The tug is the drug! I’ve been fishing with Jeff for 6 years. 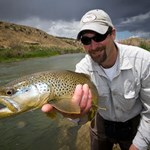 The diversity of the fishing in the great Park City area is incredible and the Weber is a perfect example. 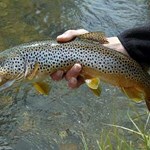 Often overlooked and therefore uncrowded, the Weber is a smaller stream but with thick healthy, fish. Like most rivers in the area, it’s a tailwater and that is where Jeff’s local water knowledge is critical. I know this from experience having fished the ... more Weber alone and without Jeff. Whether you’re fishing the Weber or any other of Jeff’s more off the beaten path rivers, he’s always up to speed on what’s happening and why. The result is more, bigger fish. Over the years, while Jeff and I have become friends, the reason I return is that I know each trip will be successful which is a testament to Jeff’s skill as a guide. A friend and I went fishing with Jeff on the Lower Provo. Jeff was fantastic. He put us on fish right away. He knew the flies required to get us started off to a good day. When things changed and the fishing slowed down, he knew exactly what adjustments to make and the fishing picked up again immediately. My fishing partner was not very experienced and Jeff had the knowledge, ability and teaching ... more skills to help him to be more effective. 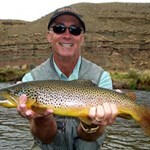 You can't go wrong with Park City Fly Fishing Company. 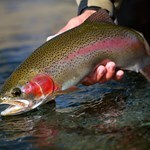 I have been fishing annually for the last 10-15 years on the Provo, Duchesne, Weber and Strawberry Rivers in Utah and I’ve used as many guides while fishing there. Jeff Harwin is without a doubt the best all-around guide that I’ve had the pleasure of working with. 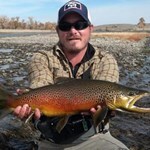 Jeff is an experienced guide that knows where to fish on the Provo and surrounding rivers to catch that big Brown we all dream about. Jeff ... more doesn’t take you to the normal spots unless the fish are active there. He’ll find a spot opposite the river where everyone else is and put you in where you’re guaranteed to catch fish while everyone else watches (no joke, I’ve actually done this). Jeff is easy to get along with, he is willing to adjust plans to your every wish and I guarantee you will catch fish. 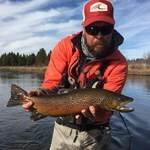 Of the ten plus years that I’ve been fishing the Provo and surrounding area, the best fishing experiences that I’ve had were fishing with Jeff Harwin. Jeff and Ryan were awesome to work with. They were experts and very professional. Our group of 3 easily caught over 40 fish in 3 hours and had a great time doing it. 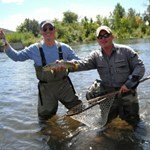 Next time I come back to Park City, I'm definitely fishing with Jeff again! 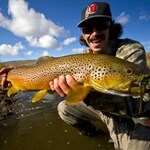 Jeff Harwin at Park City Fly Fishing Company is hands down one of the finest guides I have ever had (I've been fishing for 25 years and in more than 10 countries). What makes Jeff the best is 1) his intimate knowledge of the waters he fishes (what is happening and when it is going to happen. 2) his passion for fishing (he is rarely satisfied unless you are regularly catching fish). 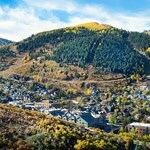 I've been fishing ... more with Jeff for more than 5 years and while I could venture outside the greater Park City area to explore new waters, I don't have too. Despite more than 8 trips with Jeff, I'm still seeing new water. I look forward to my second trip of 2016 with Jeff in June. 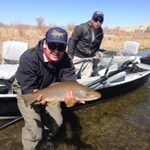 Jeff at Park City Fly Fishing set us up with Jeremy, our guide, for our Spring morning Middle Provo experience. Jeremy was fantastic in every aspect of guiding the 2 of us fly fishing and landing 18, using nymphs, and several close calls. 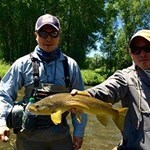 Jeremy managed this very well with one first timer and a more experienced fly fishing enthusiast. He was great at setting up the rigs and teaching how to cast, drift, ... more hook up, strip line and retrieve. Most important was his friendly demeanor and patience, making Jeremy an excellent choice for either the first timer or the seasoned fly fisherman visiting new waters. 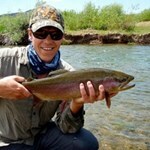 I highly recommend Park City Fly Fishing. Any time of the year, Jeff puts you with good fish and a good time. 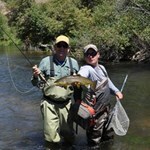 Jeff Harwin at Park City Fly Fishing Company has guided me five times over the past four years. On everyone of those trips we have caught lots of big fish. He always knows what the fish are eating and best strategies to hook and land them. 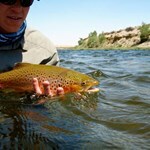 I used to travel to Montana and Idaho, thanks to Jeff, Utah and Southern Wyoming are now my favorite places to fish. Great guides, always great fishing! 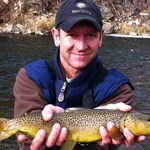 Jeff and the boys at Park City Fly Fishing Company are exactly the kind of fly fishing guides I want to fish with! 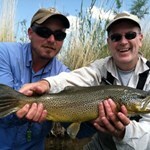 They fish hard and do everything they can to comfortably bring success to the client. 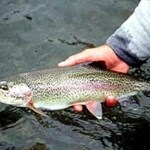 They are extremely knowledgeable and skilled fly fishermen themselves, and seek to share their proficiency with each and every angler they host. I have been with them on numerous guided trips, and would ... more highly recommend them to anyone seeking to improve their angling experience! 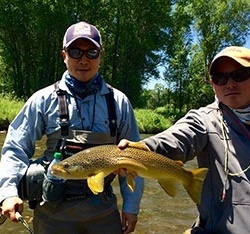 From understanding the biology of the river system and matching the hatch at hand, to improving your casting and presentation skills, Park City Fly Fishing Company will exceed your expectations. Thanks Jeff for hooking me up.